krayZeeMoMmie: Old Navy - $2.00 Layering Camis In-Store Only! 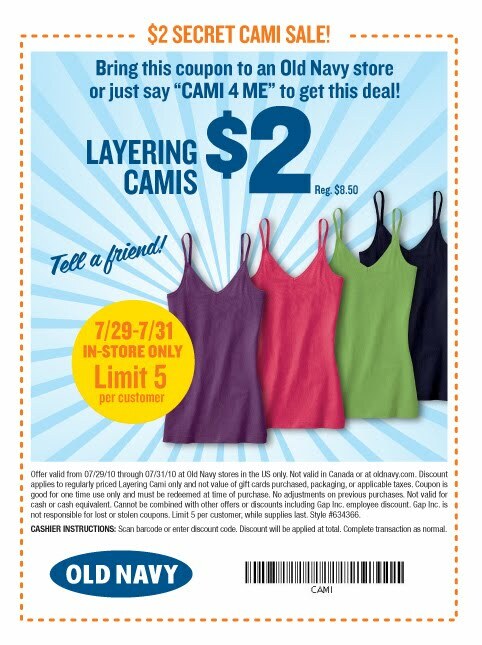 Starting Thursday, July 29 and until July 31, purchase Old Navy's Layering Camis for only $2.00, reg. price $8.50. Use this in-store coupon or say "CAMI 4 ME" to get the discount. Limit 5 per costumer. In-store only sale.